In a weird sequence of scheduling this season, the New England Patriots' last six games of the year include five matchups with AFC East opponents, two of which have already happened. Therefore, the last time the Patriots met the Miami Dolphins was just two games ago! So, this should be fresh in your minds. The Patriots took on the Miami Dolphins at home on Nov. 26. New England won in a score of 35-17. Tom Brady and Rob Gronkowski put forth a strong showing that game. Brady threw four touchdowns on the day, and two of those went to Gronk. Rex Burkhead had two scores, one rushing and one receiving. Brandin Cooks also caught a Brady touchdown pass, along with six other receptions in this game. The Patriots were up and running, after they used a bit of trickery to set up their first score. Special teamer Nate Ebner successfully converted on a fourth-down fake punt to keep the opening drive going. That series ended with a 2-yard touchdown run by Burkhead; and New England didn’t look back. Unfortunately, the Patriots lost Ebner for the season after that fake punt due to a knee injury. This game marked Brady’s 28th career game with four our more touchdown passes, landing him at third all-time. 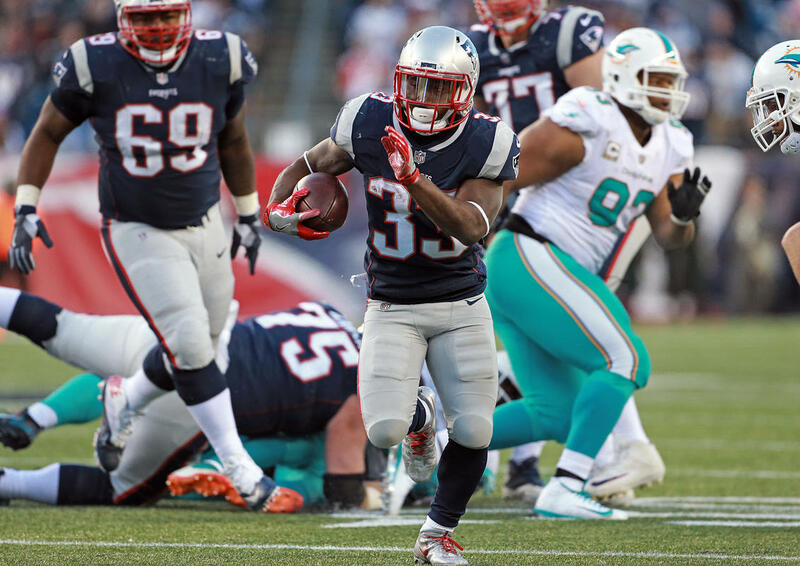 Dion Lewis had a monster day, recording his first career 100-yard game. He had 15 carries for 112 yards; aiding New England in its 5-for-5 day in the red zone. This game was Rob Gronkowki’s 16th multi-touchdown game. He passed Randy Moss, who had 15, to set the new franchise record. Tom Brady went 18-for-28 for 227 yards, four touchdowns and one interception. Miami’s Matt Moore completed 23-of-34 for 215 yards, one touchdown and two interceptions. As mentioned above, Dion Lewis posted 15 carries and 112 yards to put him over the 100-yard mark for the first time in his career. Rex Burkhead was second in rushing with 13 carries for 50 yards and one rushing touchdown. Miami’s rushing efforts were led by Damien Williams who had eight carries for 38 yards. Brandin Cooks and Rob Gronkowski led the way for New England’s receiving corps. Cookie notched six receptions for 83 yards and one touchdown, while Gronk recorded five catches for 82 yards and two scores. Rex Burkhead had the other receiving touchdown on the day. The Dolphins were led by Jarvis Landry who had eight catches for 70 yards. Kenyan Drake had the team’s only receiving touchdown in the game. His stats included three receptions for 27 yards. Miami’s other score came when Patriots center Ted Karras sent a snap past Brady who wasn’t ready for the ball. Reshad Jones then returned the botched snap for a Dolphin touchdown. The Patriots defense got to Dolphins QB Matt Moore for seven sacks. Elandon Roberts and Trey Flowers had two sacks each while Jonathon Jones, Kyle Van Noy and Eric Lee all posted one each. Patrick Chung led the way in tackles, recording 10 total and nine solo. Cameron Wake was the only Dolphin to get to Brady as he posted the team’s only sack. Miami’s defense was led by Reshad Jones who notched 13 total tackles and 10 solo, while Kiki Alonso had nine total tackles and three solo. 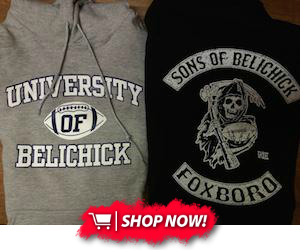 The New England Patriots will travel to take on the Miami Dolphins on Monday Night Football. Game time is set for 8:30pm from Hard Rock Stadium.